The pipeline is full. When a seven-year sales streak ends, it will usually imply bad news. Perhaps it would be bad news in an industry such as big box retailing or with real estate’s housing supply, but it has the potential to be good news if you’re a retailer in the U.S. automobile industry. After seven consecutive years of growth in U.S. automobile sales, perhaps the one positive thing this sales streak leaves in its wake is a slew of units in operation (UIOs) for dealers to retain. It’s a clear reminder of how full the opportunity pipeline now is for the U.S. auto service and parts business. The question for dealers now is what will their strategy be to retain their fair share of these UIOs in such a competitive market. There should be nothing mystical about a Service BDC process, as it is more tangible and predictable compared to a Sales BDC environment. A Service BDC should assist the dealership by loading the shop with appointment business, capturing and adding new appointment business and enabling your service drive team to provide an outstanding service visit to each customer. • You’re likely being overrun with calls — measure it. • Are the calls coming in at a manageable ratio to free up personnel? • Are advisors able to deliver an ideal phone exchange? • Can someone else handle these calls? Can they provide a better experience? • Have you considered tracking the content of the process? There’s lots of valuable data here! • The goal should be to productively shop load jobs — not just calls and customers. • Are the right tools in place? Productivity here is best accomplished via a scheduling tool. • Is there a clear plan to establish and drive a positive customer experience (CX) into these calls? • Is the objective in place to free up advisors so they can serve customers? • Look for a lift in average hours sold per RO — at least .5 per RO after phone calls are centralized. • Look for CSI to improve as your team can now find and sell to customer needs. • Improve timely communication — utilize texting and mobile payments to meet customer expectations. • Maximize each visit — provide MPVIs and next appointments. • Consider this as a tangible customer acquisition opportunity. • Customers will trust reviews that confirm you’re relevant and trusted. • There is a roadmap to be created here — implement and execute this over time. The impact of an effective Service BDC will be obvious — even without a calculator. But you can’t manage what’s not measured, so below are a few items to consider in your effort to track and measure your Service BDC progress. Begin by measuring and tracking the impact of appointment show rates. Service appointments should show at a higher clip than sales appointments. Expect at least a 75 percent show rate on your floor — the average dealer will post an 85 percent show rate and, in certain markets, don’t be surprised to see a low-90 percent show rate. Anything less than 75 percent means you probably have a problem. 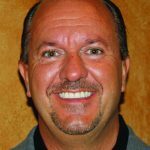 Most dealers who have not centralized their calls live in a below-70 percent appointment show- rate world — and it costs them about a month’s worth of ROs annually. So, once your centralized appointment process is in place, the dealership will experience an RO bump as you approach and cross the 80 percent show- rate threshold. In terms of annual impact, an 80 percent or better show rate will produce an extra month of ROs per year (10 percent lift per month times 12 months) just from this one metric, and it’s an easy indicator to track. The next item to measure seems to slip under the radar for many: the ratio of status calls to appointment calls. You’ll want to manage to a 25/75 ratio of status call to appointment calls. When your percentage of status calls grows beyond 25 percent, you likely have customers complaining that they do not know what is going on with their vehicle and haven’t heard from their advisor. Today’s customers are smitten with the Amazon-like experience, so they want to know the status of their vehicle in a painless manner. Eliminate the stress of their visit by providing simple updates via SMS texting applications. Failure to update via SMS texting here will likely create poor satisfaction scores and higher defection rates. Both of these will cost you more than you want to pay. The next item to measure is the impact of time given back to the advisors in the drive. Time is money, especially in the service drive. Centralizing your calls will free up valuable time for advisors in the drive that enables them to perform profitable and measurable activity with customers. Free time from calls will enable advisors to ask fact-finding assessment questions with each customer. Free time from calls allows advisors to inspect and walk the vehicle. Free time from calls creates the bridge to enable advisors enough time to assess and then have enough credibility to recommend services as needed. Free time from calls enables advisors to provide customers with status updates and approvals. Lastly, free time from calls enables advisors to provide an active delivery of the vehicle back to the customer. The impact of free time from calls can be measured in numerous areas, so be sure to begin by looking at the growth in dollars per RO and in RO counts. Look for a lift in dollars sold per RO. On average you should expect to see per RO impact of .7 or better. 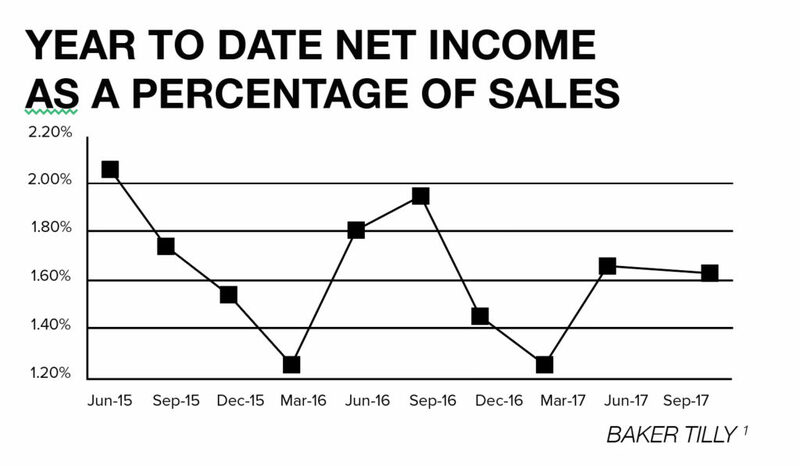 In a 1,000 RO dealership, this is the equivalent impact of an additional $700 per car if that dealership sells an average of 100 units per month. It’s a tremendous boost to the bottom line because the gross margin of fixed operations sits at 50 percent, or twice that of either the new or used vehicle department. The best place to start your Service BDC strategy is to zoom out far enough to see the big picture. See the real need and the full opportunity for what it actually is. From here, you will be able to recognize what resources you should consider. The good news is you have options. You can choose to build your centralized call and Service BDC solution internally. You can choose to centralize calls and build your Service BDC solution externally with a vendor-partner. And you may even be able to create a hybrid of the two with the right choice. The main thing to remember in the game here is retention, and retention typically begins with a call. 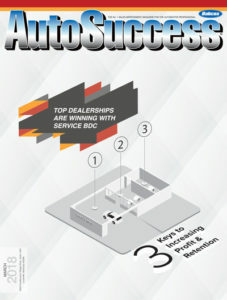 A well-executed Service BDC strategy allows your dealership to centralize and funnel its calls into a shop-loading model, then into a positive customer experience that produces retained customers who gladly return. It’s a powerful and measurable kinetic chain that only an effective Service BDC process can deliver. The need for centralizing calls is imminent and isn’t going away anytime soon. The one metric that continues to increase unfavorably is the acquisition cost of a new customer. It has continued to increase year after year, with NADA data showing the average now exceeds $600 per vehicle sold. Consumers’ use of the mobile phone has translated proportionally into more phone calls to dealership service departments. Nearly 74 percent of the calls arriving at dealer switchboards today are for service and parts, according to the Marchex and Google Mobile Click2 study. So, in spite of technology options, including online scheduling, consumers are still slow to fully adopt these technologies as their preferred methods. Perhaps it’s simply easier to click that “call” button on their mobile phone after browsing for service near them. So, you will need a strategy to centralize the calls and start the process correctly. But once implemented, your opportunity is vast. There has always been change in our industry. Right now many are anticipating the impact of autonomous vehicles. How might this impact your dealership? Time will tell, but instinct says that the autonomous model will need to be tested and, if successful, all UIOs — whether autonomous or human-driven — will still need service. As long as dealers rely on service and parts revenue to remain in business, having a process to find and keep customers is a top priority. While some dealers may be slow to adjust, create and implement a Service BDC strategy, there will be market leaders who rapidly move forward with a strategic and tactical approach to winning this business back into their service drive via an effective Service BDC strategy. The fact is, whether large or small, urban or rural, every dealer has the opportunity to win back these customers for life as legendary car dealer Carl Sewell noted 30 years ago.